This design was inspired both by the Australian garden at Huntington Library in San Marino, California and by all the photos of stunning eucalyptus garlands that pop up in our instagram feed (thanks talented florists!). 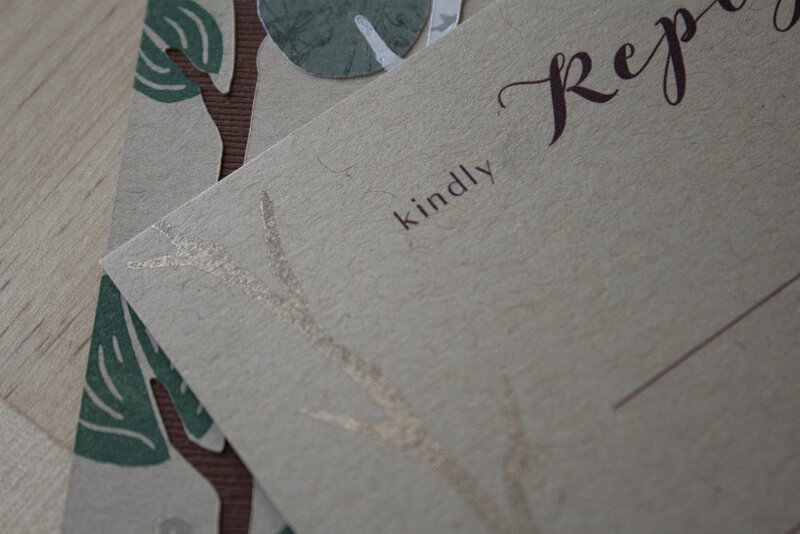 Sophisticated, simple, and a little sparkly too, we'd say this is one handsome invitation. 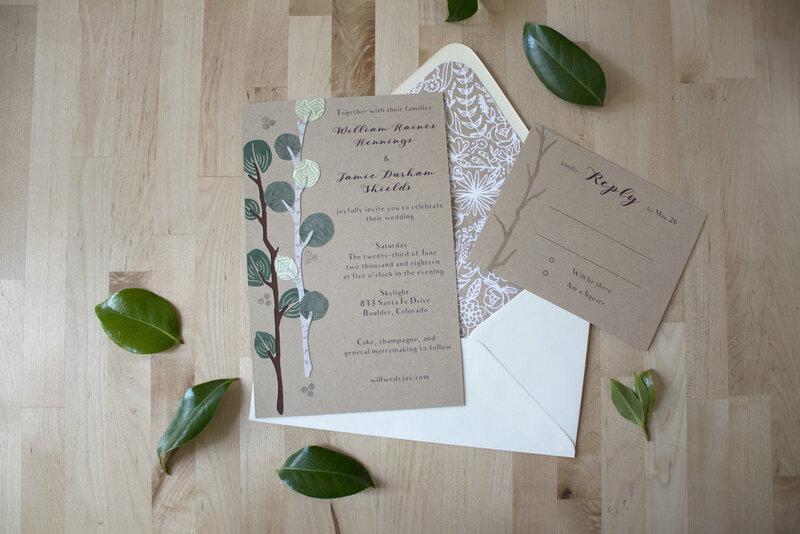 The Oh So Dapper Silver Drops invitation features two awesomely knotty stems adorned with both stamped and patterned paper silver drop leaves on a flecked kraft background.